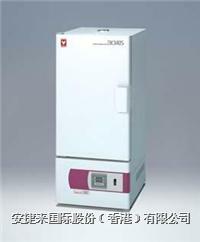 Economically-priced,space-saving, yethigh-capacityconstanttemperature ovens foreducational facilitiesandsmalllaboratories. Itisaforcedconvection, circulatory type of oven that dispersesheatwithhighprecision. 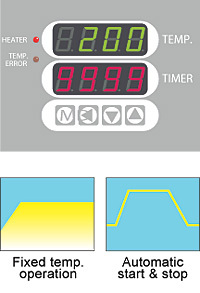 Temperatureadjustmentisachievedthrough proportional, integral, derivative(PID)controlusing amicroprocessor, and boastsauto-starting,auto-stopping, andtimerfeatures. When shipped fromthefactory,thedoor opens to the left, but the user can manuallychangeit soitopens from the right. The unit hasseveralsafetyfeatures,such as a short circuit breaker, andanindependentmechanism toprevent overheating that uses athermostatwithdigitalswitches.